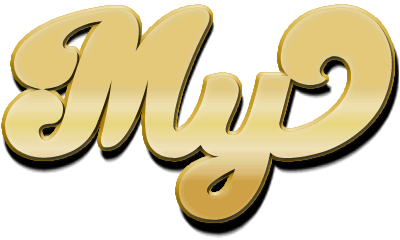 a prefix meaning “above, over” or “beyond the limits of, outside of”. 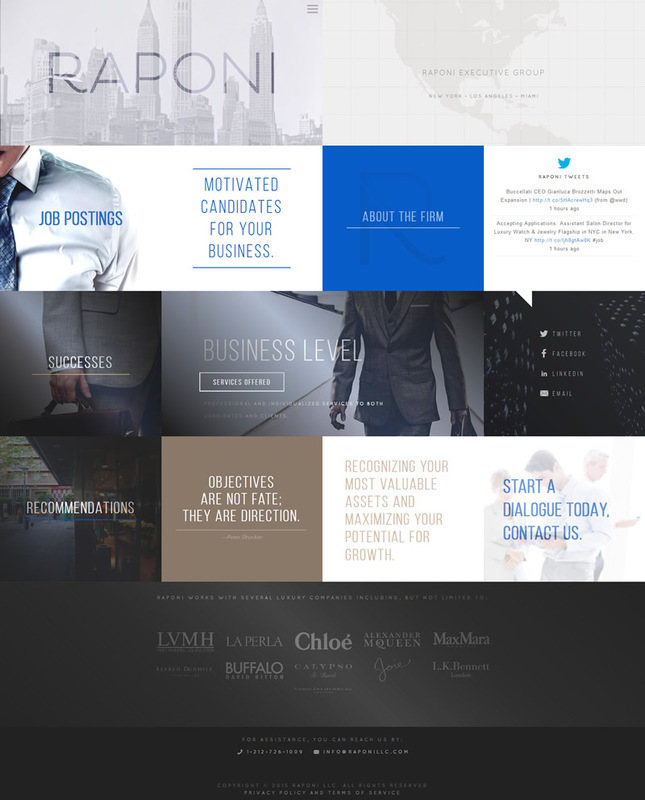 Suprasola is a freelance studio featuring the work of Jake Yilmaz. 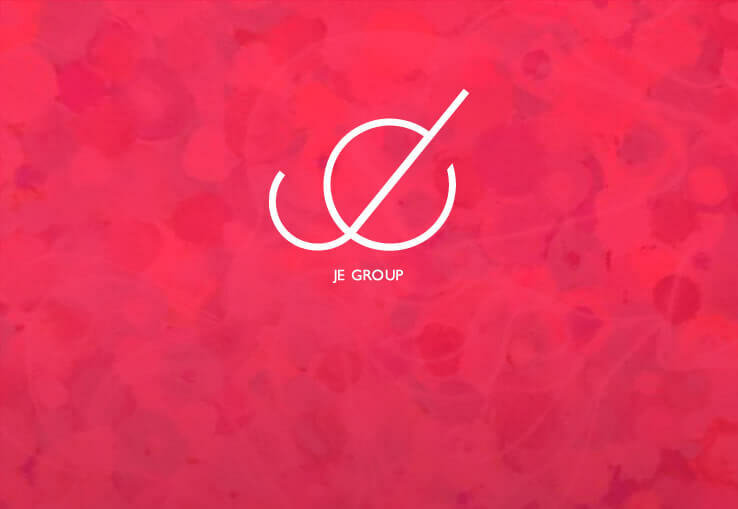 Acting as a multi-disciplinary development studio, specializing in: branding, art direction and front end design. 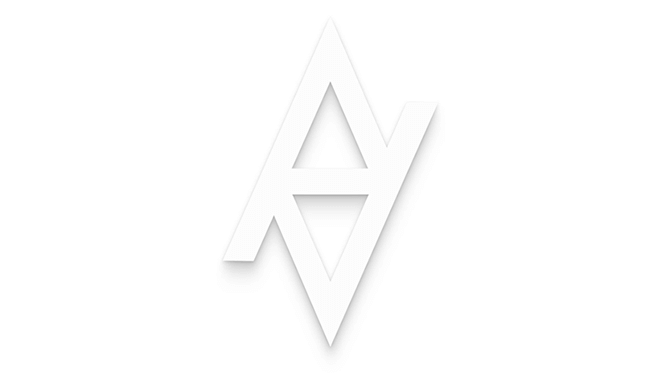 I have been making websites since the 90’s and have worked with artists, authors, corporations and start ups alike. 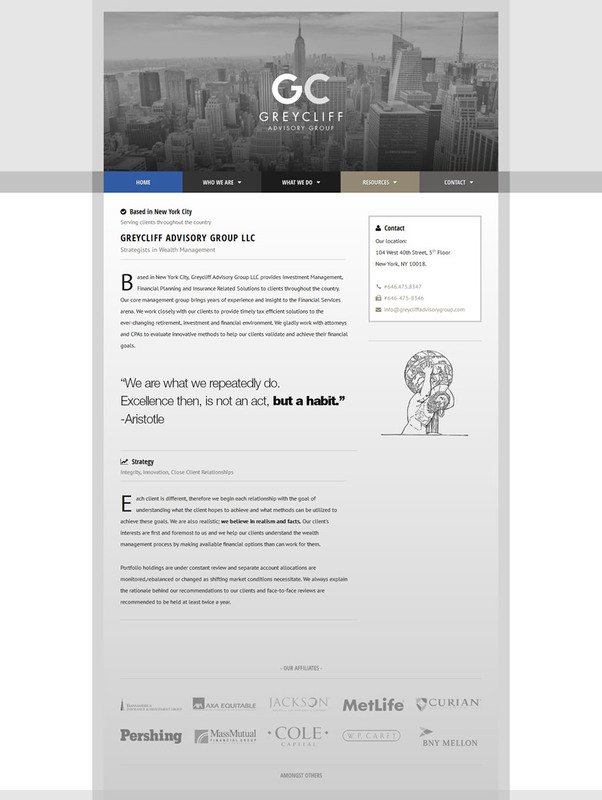 Based in the greater New York City area. 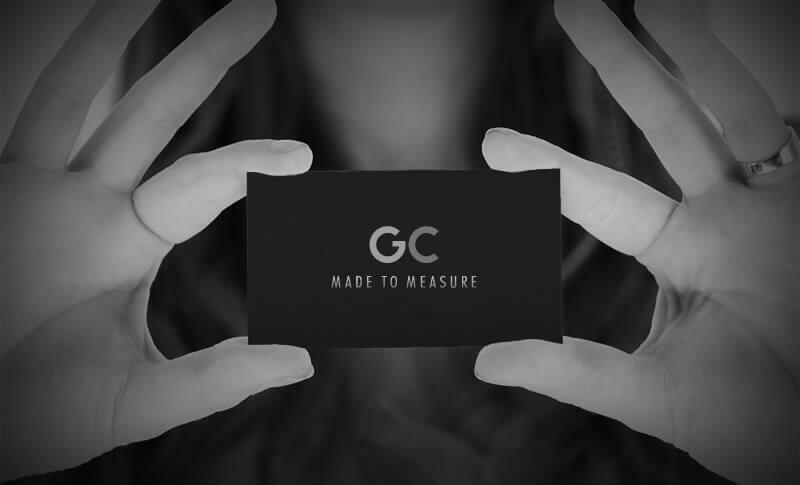 GC Made to Measure is a luxury custom men's wear firm. 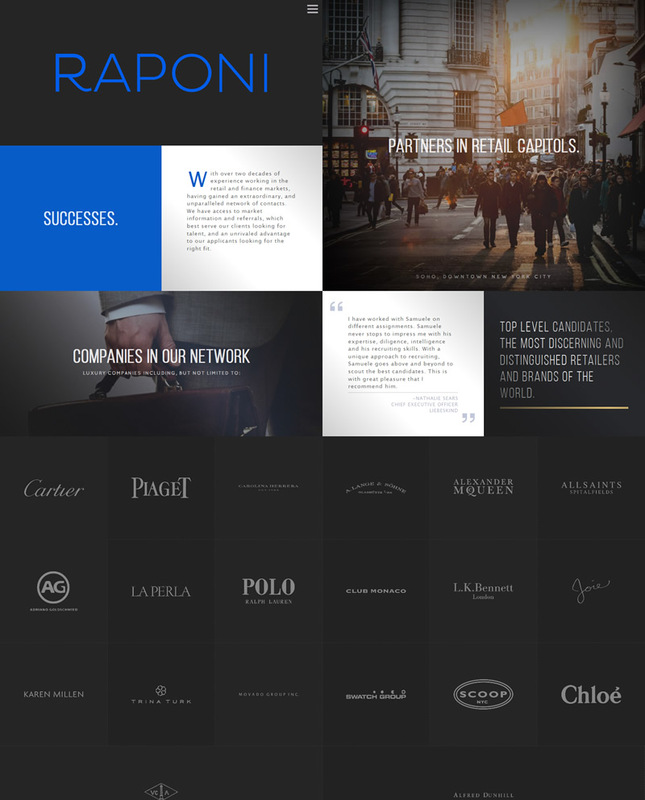 To reflect the firm's high fashion background, we used bold visuals and a psuedo-minimalist interface. 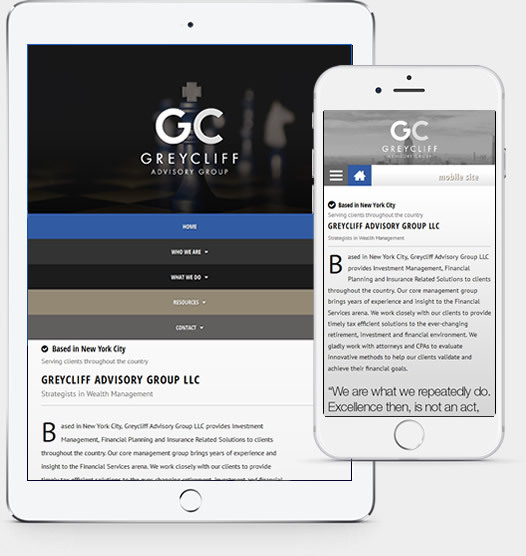 We consulted with the copy and added quotations that fit the overall branding of the firm. 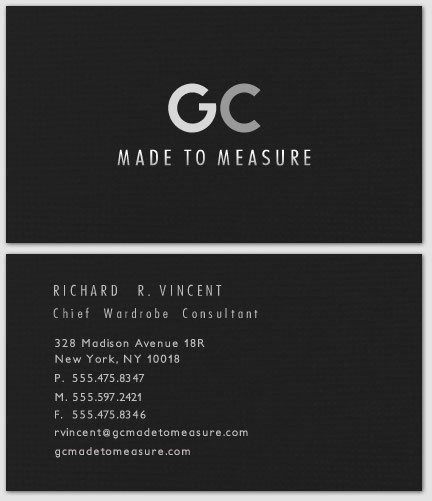 The business cards were printed on ultra thick felt paper stock. 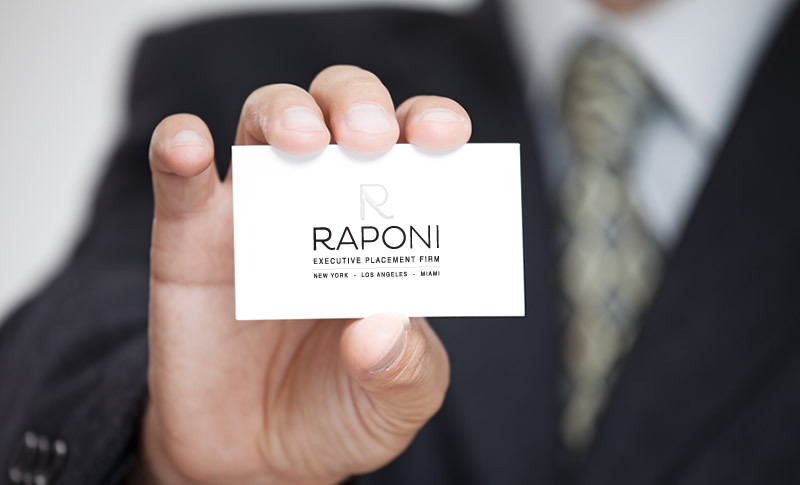  The Raponi Group operates primarily in the high fashion world. 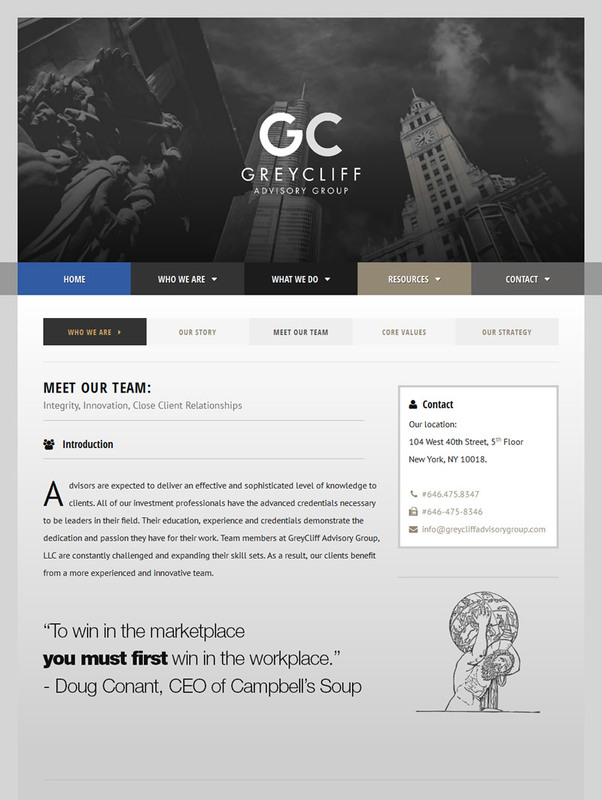 To reflect their brand's bold and "guerilla" marketing, we created a web presence that has an elegant and frenetic user interface. 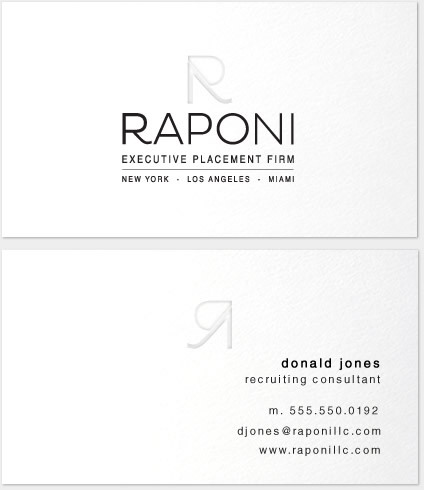 We had their business cards printed on thick paper stock with a blind pressing of the iconic "R" logo symbol made as part of their brand identity. 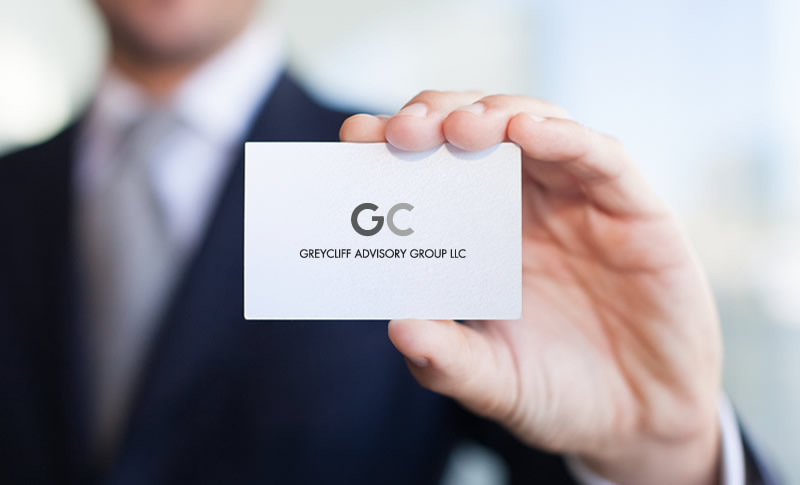 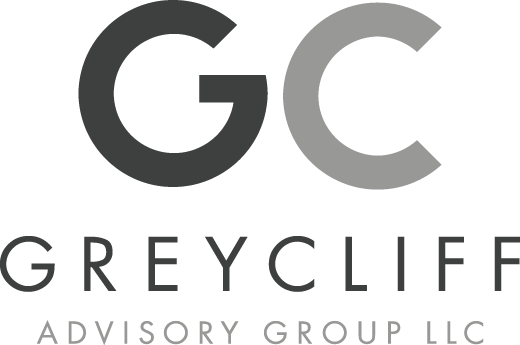 GreyCliff Advisory Group is a financial firm centered in Manhattan, New York City. 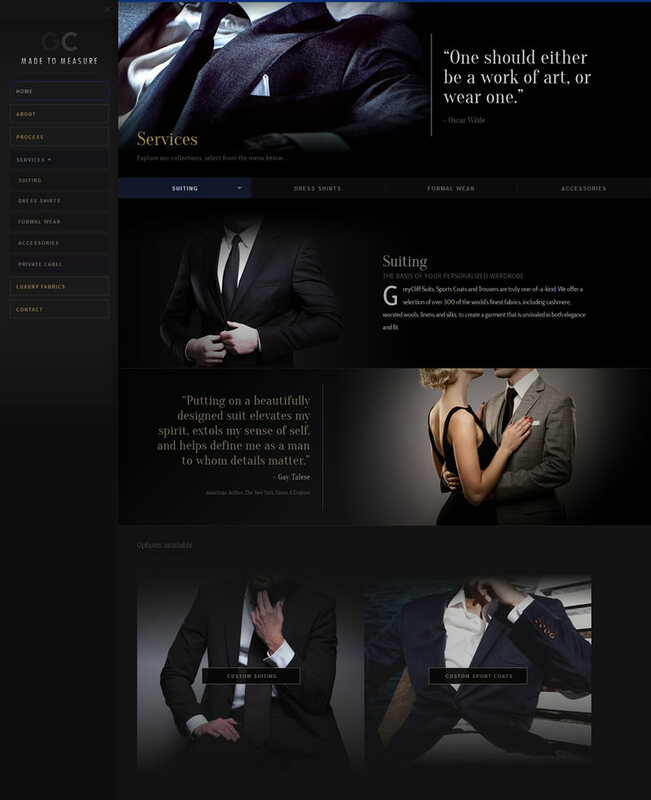 The goal was to be conservative and reserved with the interface, but maintain the personalized touch of the firm. 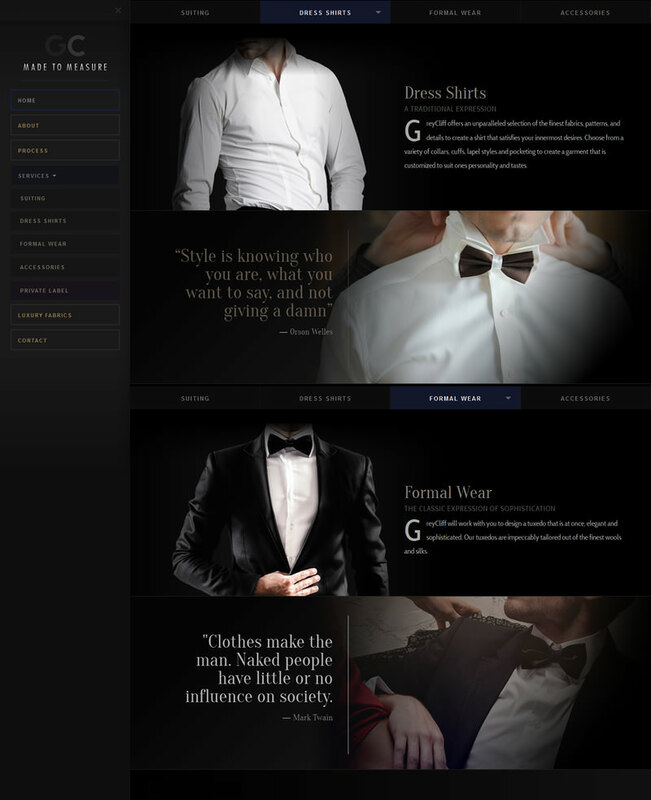 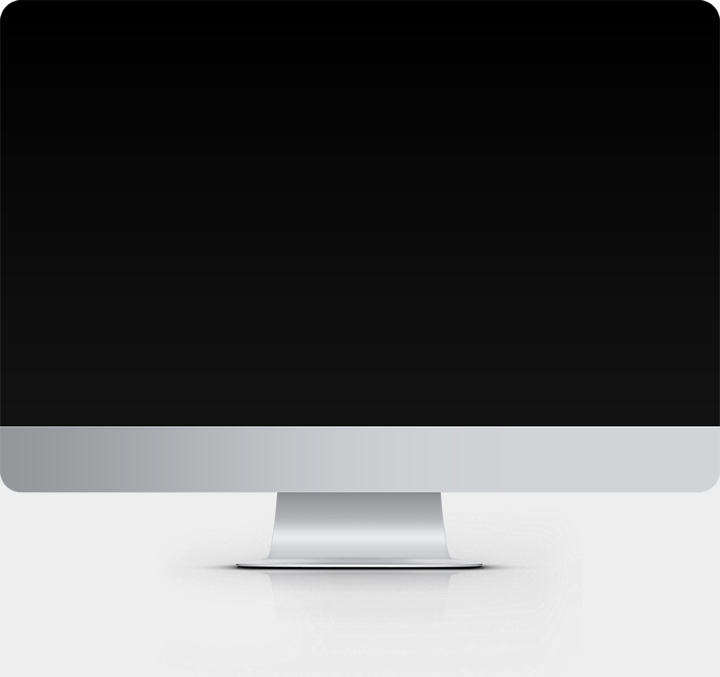 A separate highly optimized, mobile version of the desktop site was created. 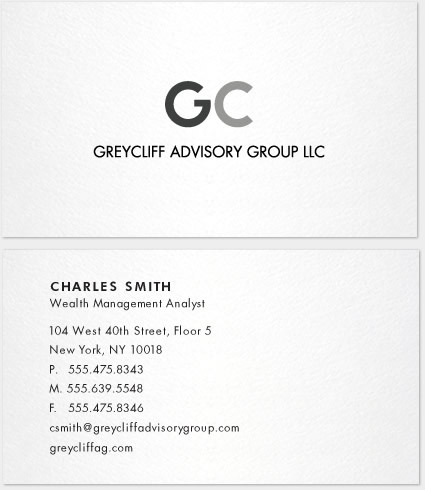 Print materials are printed on felt ultra thick Mohawk© paper stock. 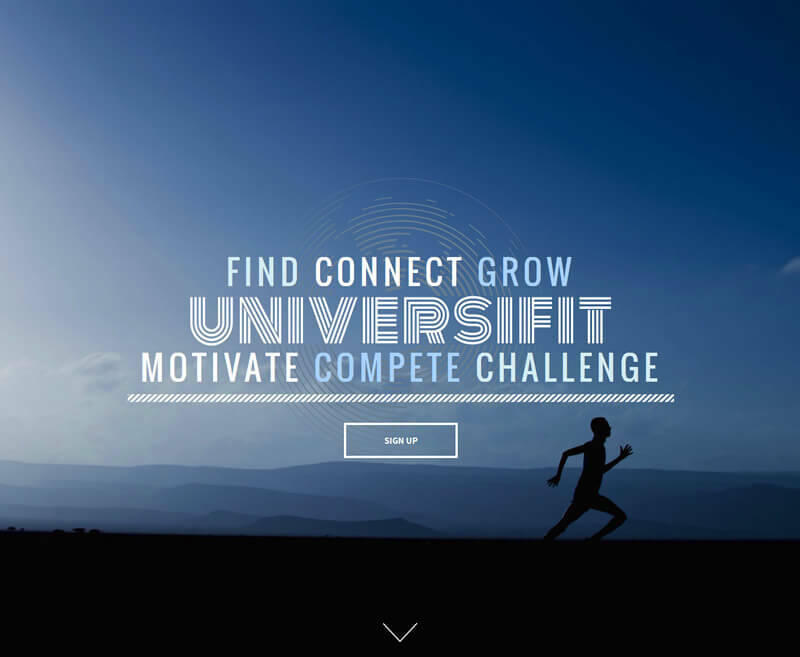 Universifit is a new addition to the world of social media and fitness, aiming to partner people, culture and resources to make the most of the fit world.  Universifit is currently in alpha mode, and will be in ongoing development. 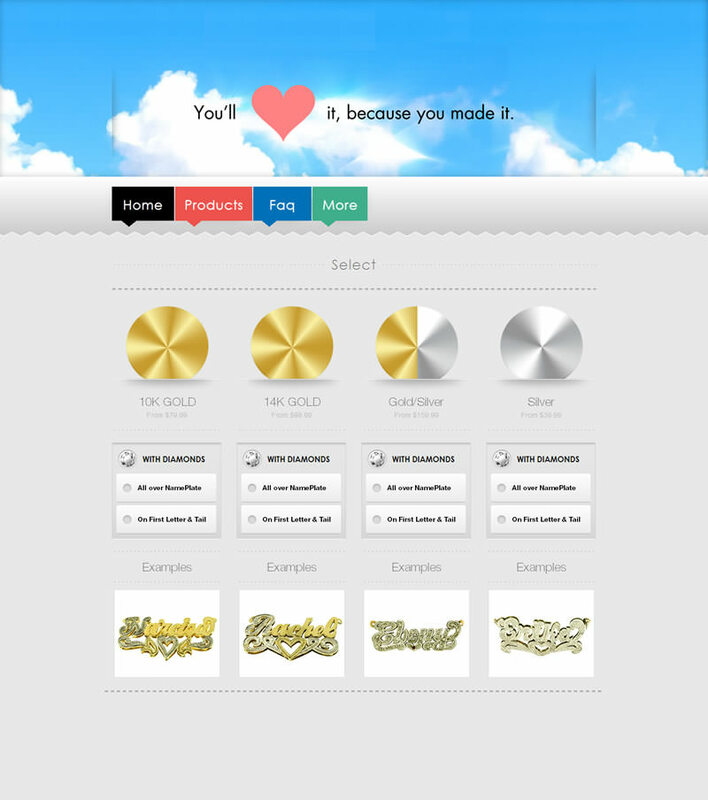 MyNamePlateStore is a retailer of custom made jewelry. 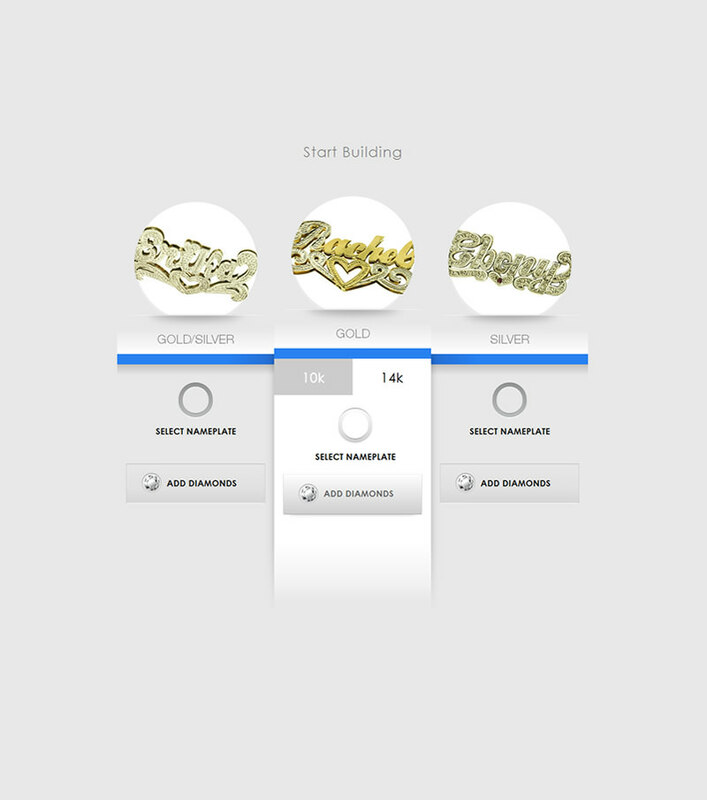 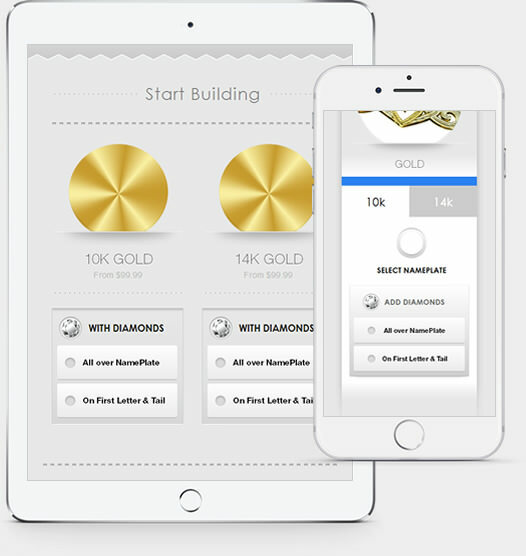 For this project we created an interface for customers to design their own Nameplate necklace. 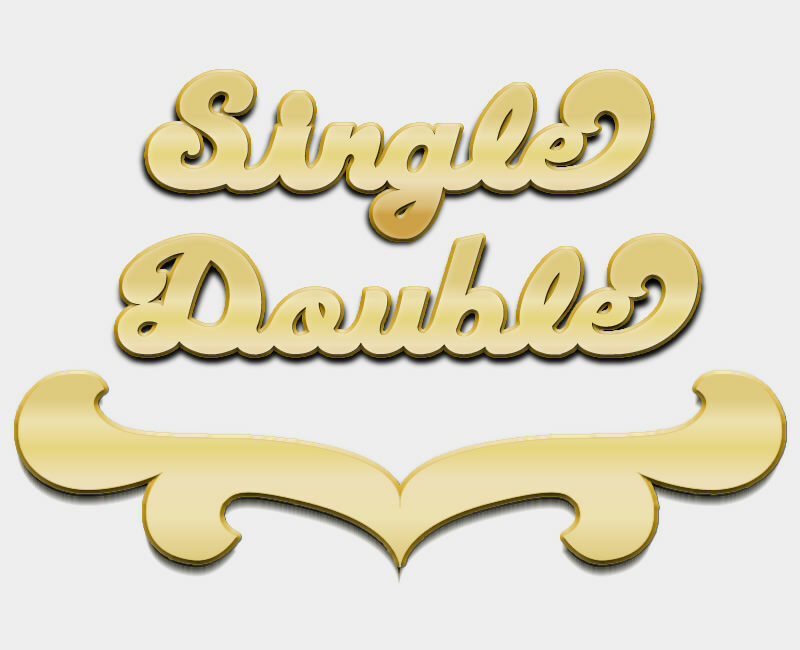 A full script font was created for the brand based on classic Nameplate necklace styling, complete with additional 50+ selection of tail designs. 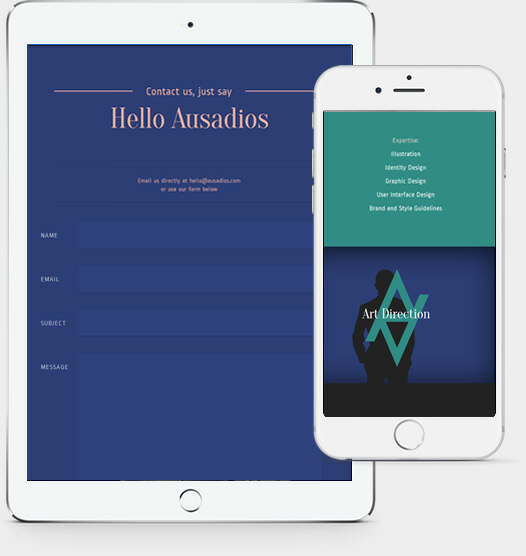 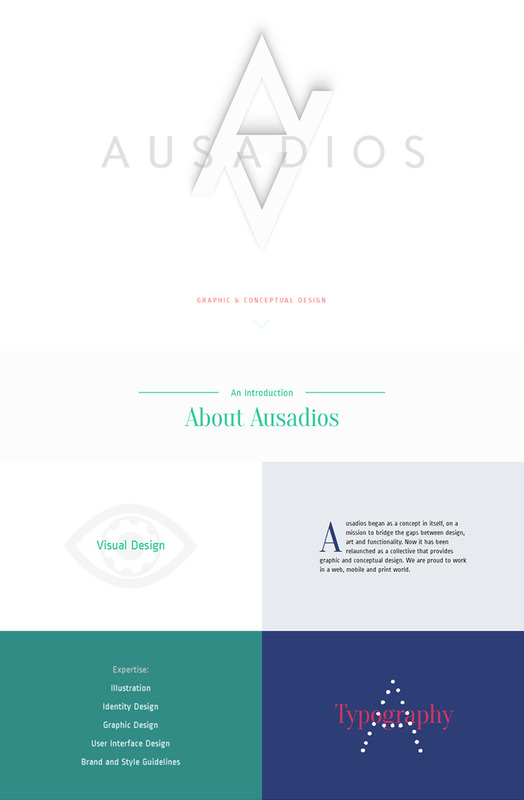 Ausadios is a visual design collective that offers an ecclectic selection of modern conceptual design ideas. 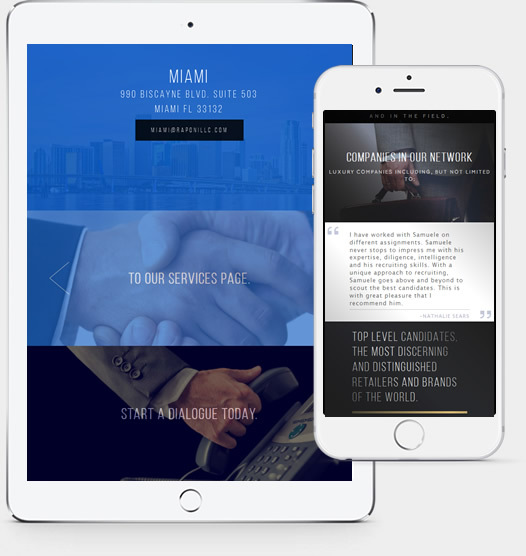 We took their wildness and translated it into an interactive spread of their services offered. 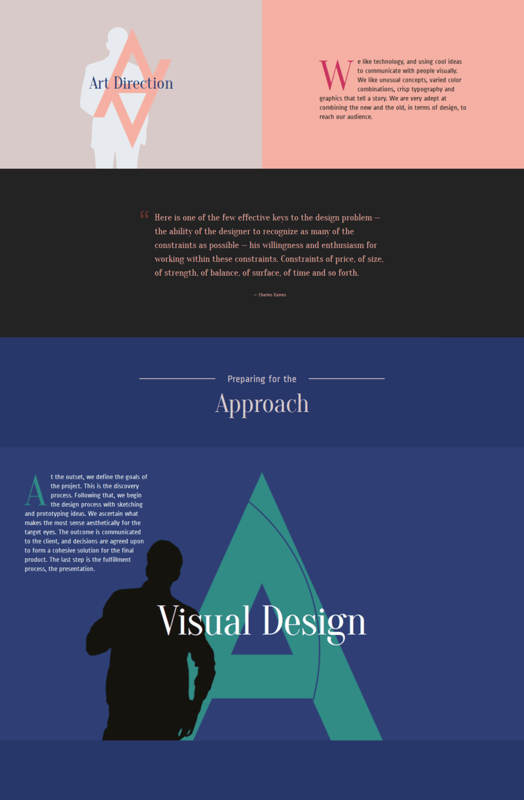 Their web presence is the resulting mix of their philosophy of "Wabi-sabi" and general web best practices. 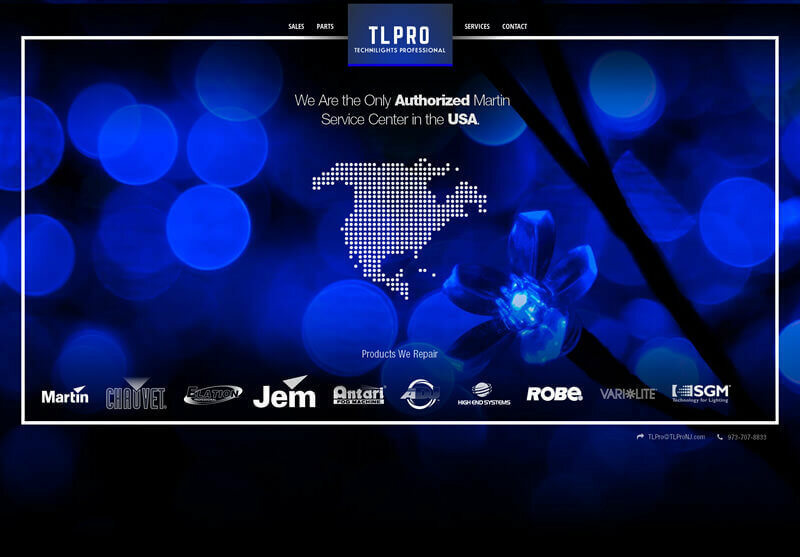 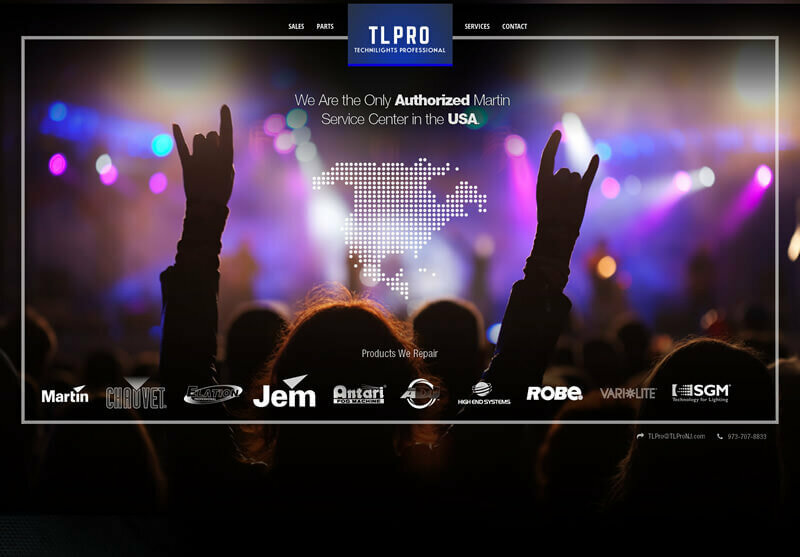 TLPro is one of the nation's leading architectural and entertainment lighting repair services. 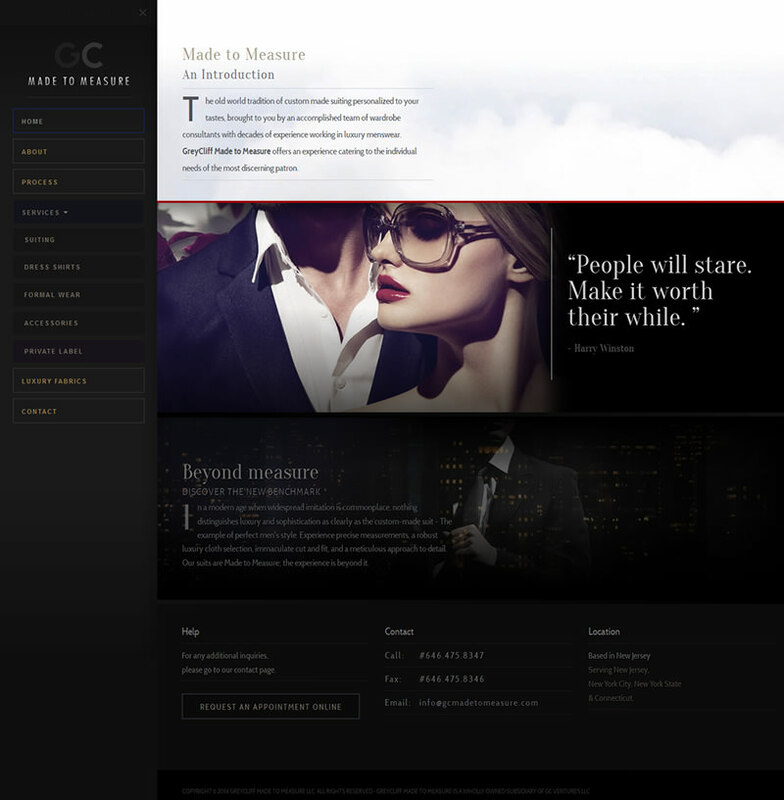 This project is currently still in development.  The JE Group is an event entertainment group servicing the east coast and specifically the north east. 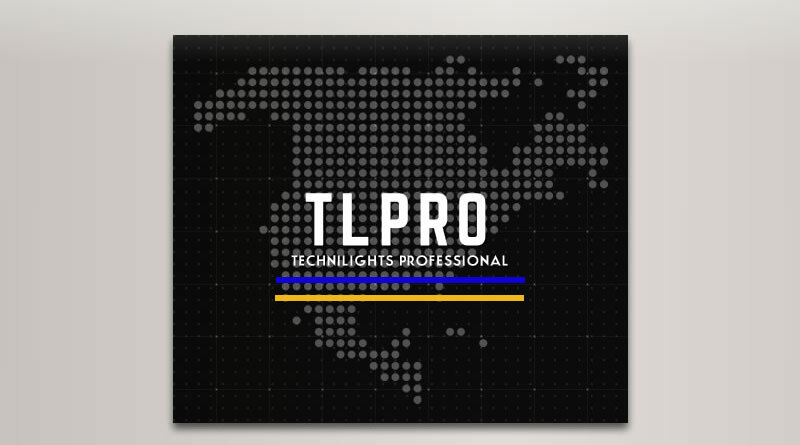 This project is currently in development.